A Legend of the Tower of London. Agnes the Unknown; or, the beggar's secret. A romance. Almira's Curse; or, the black tower of Bransdorf. A romance. Angelina; or, the mystery of St. Mark's Abbey. A tale of other days. Anselmo, the accursed; or, the skeleton hand! An original legendary romance. Blanche Langdale the outlaw's bride. A romance of Sherwood Forest. The Blighted Heart; or, the old priory ruins. A romance. Bound 'Prentice to a Waterman; or, the flower of Woolwich. The Charming Polly, or lucky and unlucky days. The Death Grasp; or, a father's curse. A romance of startling interest. The Death Ship; or, the pirate's bride and the maniac of the deep. A nautical romance. Emily Fitzormond; or, the deserted one. A tale of mystery. Ernnestine de Lacy; or, the robber's foundling. An old English romance. Ethelinde; or, the fatal vow. A romance. Evelina, the Pauper's Child; or, poverty, crime and sorrow. A romance of deep pathos. 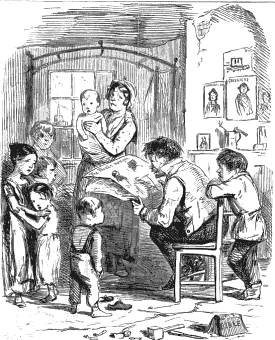 Fatherless Fanny; or, the mysterious orphan. A tale of deep interest. Faust; or, the demon of the Drachenfels. Gallant Tom; or, the perils of a sailor ashore and afloat. An original nautical romance of deep and pathetic interest. Geraldine. Or, the secret assassins of the old stone cross. An original romance. Gertrude of the Rock; or, the mysterious hermit. An original old English romance. Gilbert Copley, the reprobate. A domestic romance. Gilderoy; or, the freebooter of Scotland. A romance. The Gipsy Boy. A romance of the woods and the wilds. The Harvest Home. A romance. The Highland Watch Tower; or, the sons of Glenalvon. A romance. Jack Junk; or, the tar for all weathers. A romance of the deep blue sea. James Crichton, of Clunie, and Catherine de Medicis. The Jew and the Foundling. A romance. Kathleen; or, the secret marriage. Kohal Cave, or the events of a year. The Lone Cottage; or, who's the stranger? A romance. The Magazine of Curiosity and Wonder: a weekly miscellany of the surprising, remarkable, and astonishing. The Maniac Father; or, the victim of seduction. A romance of deep interest. Mariette; or, the forger's wife and the child of destiny. May Grayson; or, love and treachery. A romance. The Miser of Shoreditch: or, the curse of avarice. An original historical legendary romance Of the Fifteenth Century. My Poll and my Partner Joe; or, pretty Poll of Putney. A nautical romance. Naida; or, the goddess of El-Dorado. The New Historical Note Book; or, soldiers' and seamans' recorder. The Ocean Child; or, the lost vessel. The Ocean of Life; or, every inch a sailor. The Old House of West Street; or, London in the last century. A Romance Tale. Paul the reckless; or, the fugitive's doom. Rosalie; or, the vagrant's daughter. The Royal Twins; or, the sisters of mystery. The Rye-House Plot, or the malster's daughter. Schamyl; or, the wild woman of Circassia. An original historical romance. Vice and its Victim: or, Phoebe, the peasant's daughter. A romantic tale of real life. Tales of Enchantment; or, the book of fairies. A collection of original stories of magic, necromancy and fairy land. Temptation; or, the mysterious casket. A legendary romance.